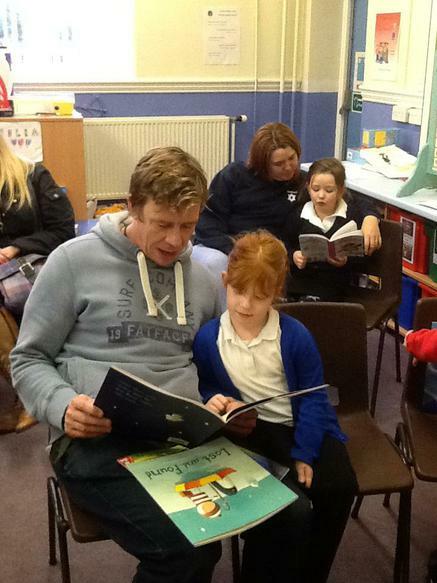 We had almost a 100% turn out for our Come Dine with Me and Read event on Wednesday 2nd December 2015. 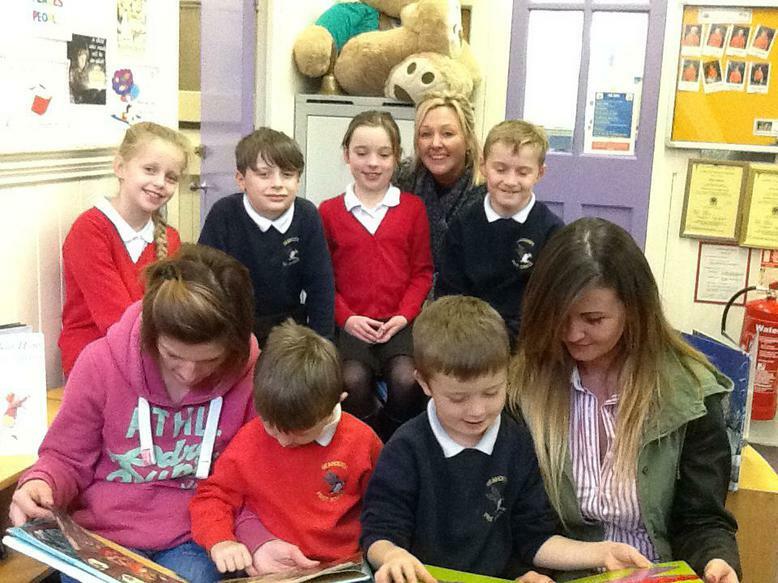 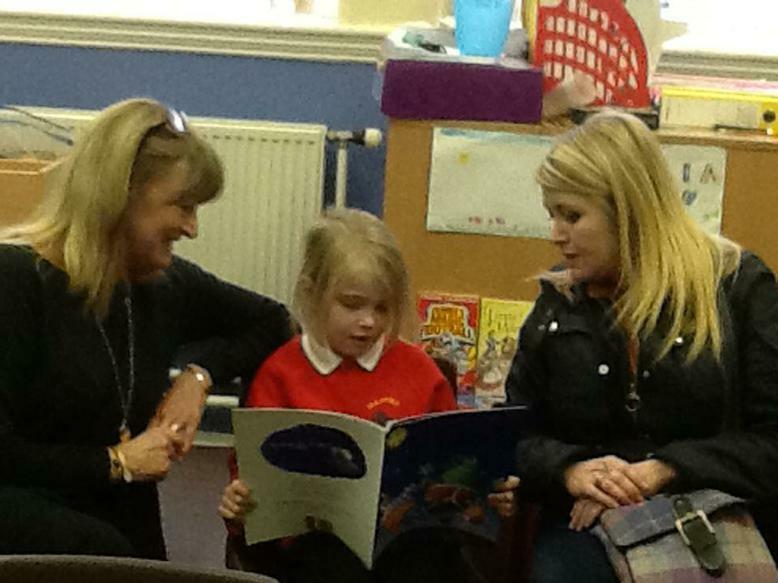 We invited our Reception, Year 1 and Year 2 parents to have lunch with their child then go into the classrooms and read. 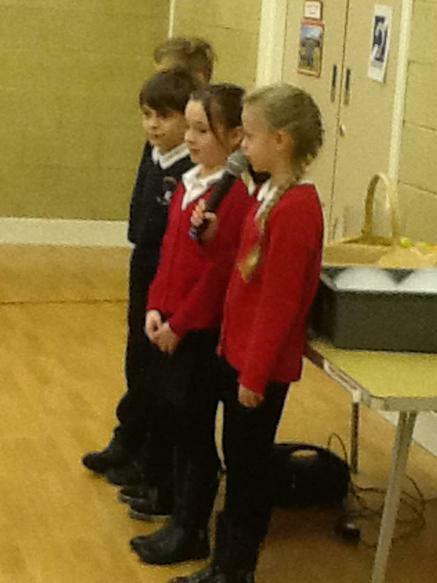 Parents were greeted by the Head Boy and Head Girl and their deputies and taken into the hall where their children were waiting. 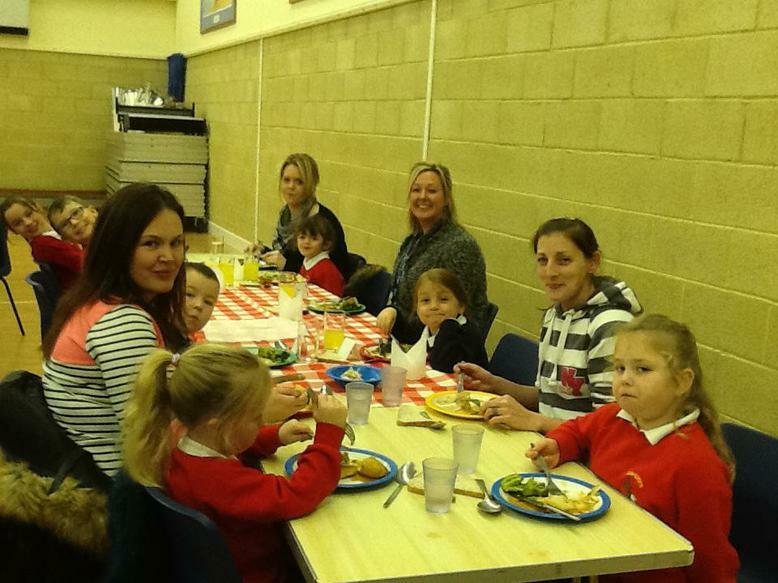 Year 4 served their lunches and cleared away afterwards. 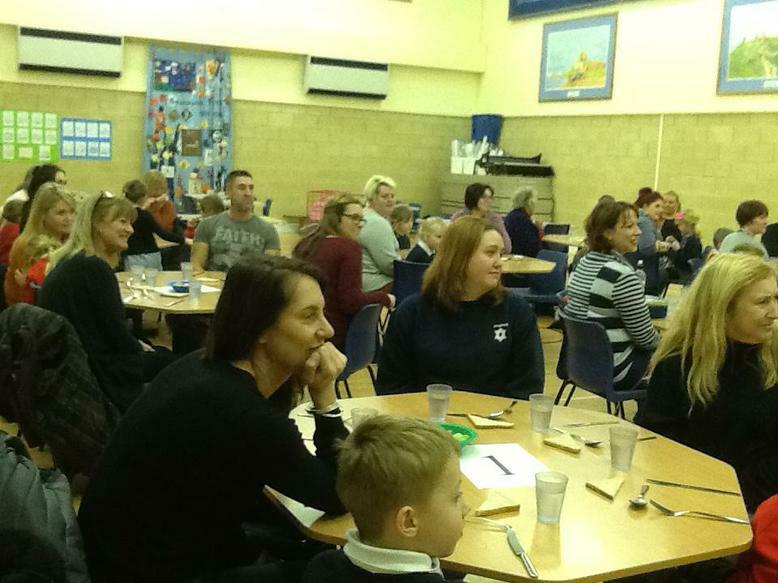 Everyone said lunch was lovely and especially liked the sticky toffee pudding. 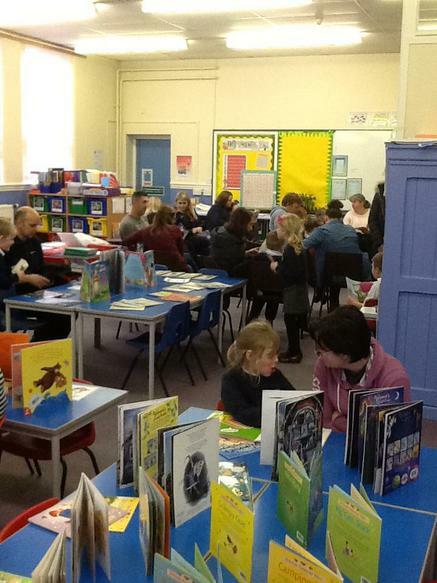 Everyone then went to the classrooms and read with their children.